The good news is that there is a fix. Simply confirm that Chrome has been updated to at least 72.0.3626.121 (Official Build). 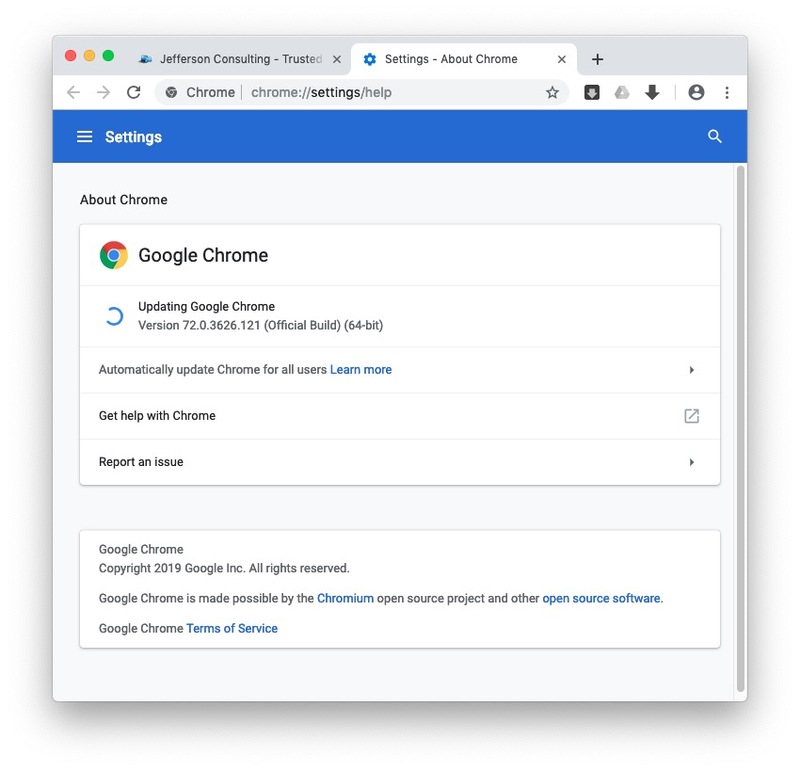 Mac Users should go to the Chrome application menu and select About Chrome. If the browser needs updating, the download should start immediately. For details regarding this zero-day vulnerability, please refer to the Forbes.com article linked above. We apologize for the late posting of this important information to the blog. While not posted here when the news came out, we posted to our Twitter, Facebook and Linkedin accounts, and we reached out to those clients who run Chrome exclusively, to advise them of the security threat and the prescribed fix. More blog posts coming! Thanks for reading.